On episode 7 of the Birds and the Beehive Podcast, we have something special. 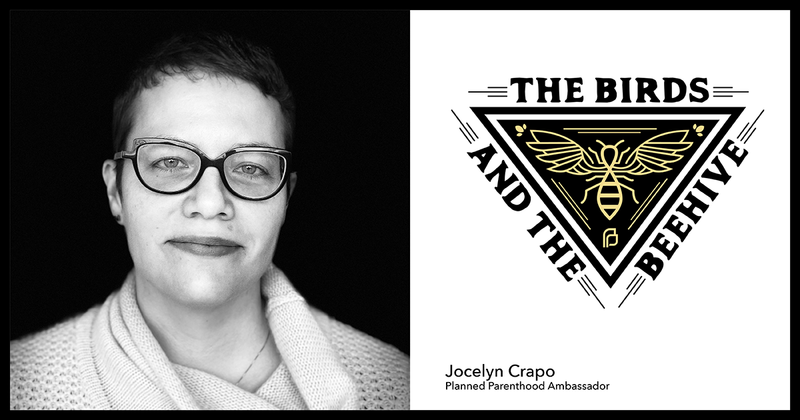 We hear from Jocelyn Crapo, a Planned Parenthood Ambassador, who shares the story of having an abortion at 18 weeks pregnant after her baby was diagnosed with a fetal abnormality “incompatible with life”. She is sharing her story because she wants more people to understand what having an abortion later in pregnancy is really like and to help combat the political narrative that seeks to villainize those who need abortion care. A written version of her story was published on ThinkProgress in 2016. Jocelyn Crapo is the mama to two rainbow babies who bring her endless joy. She grew up in southeastern Idaho on a potato farm and made her way to New York City, where she lived for 17 years, working in design and fashion. She recently moved back west to Salt Lake City to be closer to family and the mountains. Jocelyn is a lover of Russian poetry and tacos.